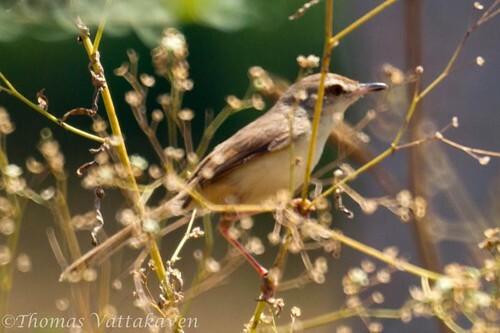 Last week, featured on here was the Ashy Prinia. 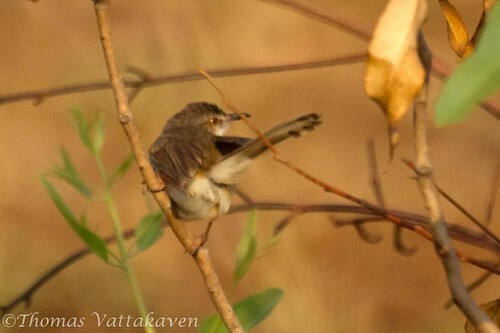 This time it’s another Prinia – the Plain Prinia, also known as the Plain, or White-browed, Wren-Warbler (Prinia inornata). 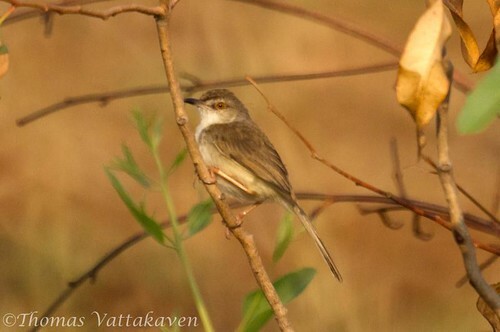 It is a similar looking bird to the Ashy Prinia, except for its plumage colouration. 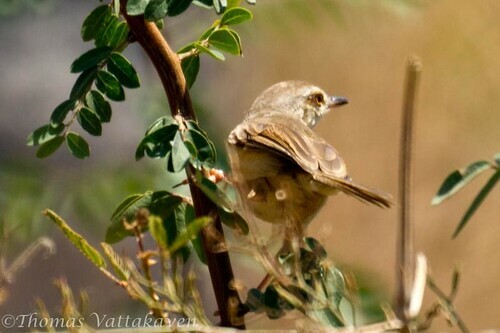 This species has a dull brown colour on its upperparts. The bill is black and the legs are strong and pinkish. The under parts are a whitish buff colour. In winter however, the dull brown upper parts taken on a warmer brown hue and the underparts become more buff. The tail is also longer in winter. There are however, a number of races differing in plumage shade. 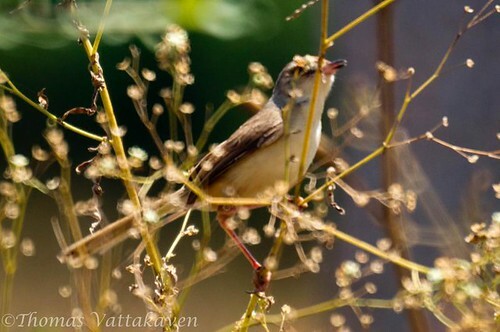 The bird is usually found in open woodland scrub and low wetlands. 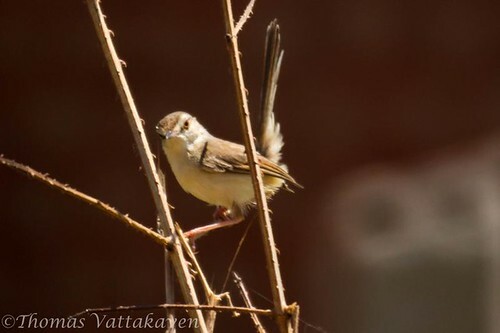 In breeding plumage, adults are grey-brown above, with a short white supercilium and rufous fringes on the closed wings. Nests are built in shrub and tall grass. The birds are insectivorous.